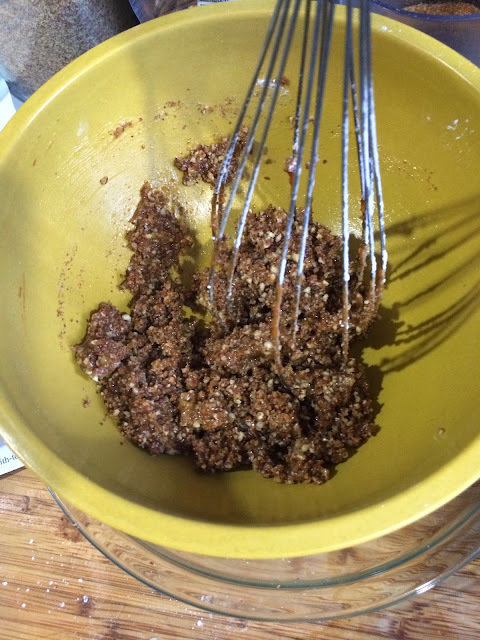 In a medium bowl, combine the almond flour, flaxseed meal, brown "sugar" (or coconut sugar), cinnamon, cream of tarter, and salt. Add the coconut oil and mix to combine.Add the eggs and vanilla and mix until thoroughly combine and the dough comes together. Repeat with the other half of the dough, using a separate cookie sheet. Bake for 40 minutes and increase the temperature to 350 F and bake for another 2-5 minutes until golden brown. 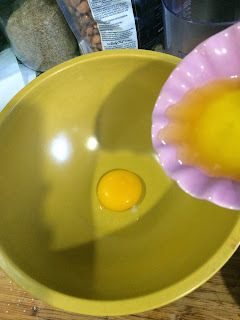 Add in 1 egg yolk and 4 tablespoons of melted butter to a bowl, stirring to combine. 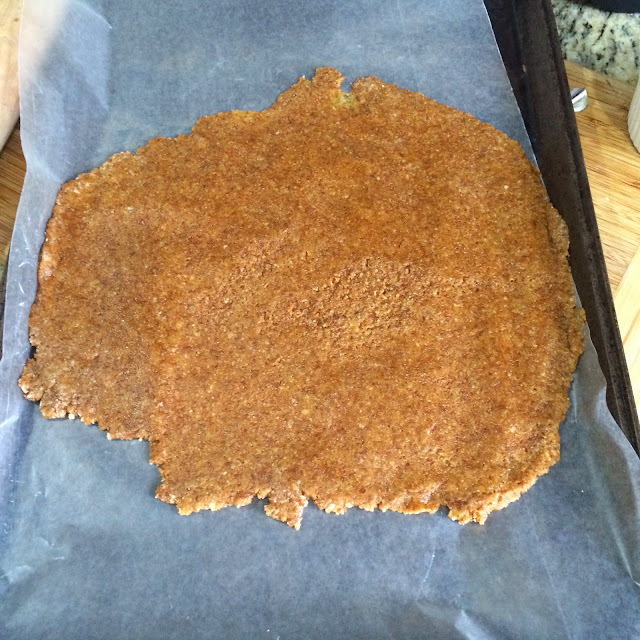 Tear two pieces of parchment paper the size of a cookie sheet. 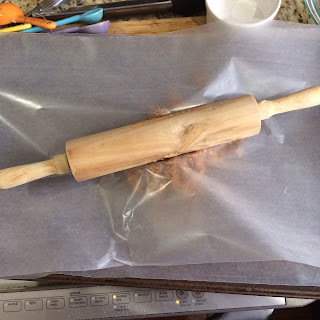 Lay one piece of parchment onto the counter an place half the dough on the parchment. Top with another piece of parchment and roll the dough out into an even layer (about 1/4" thick). Using a pizza cutter, score the dough to make cracker shapes. Using the dull end of skewer poke 11-12 evenly spaced holes into each cracker. 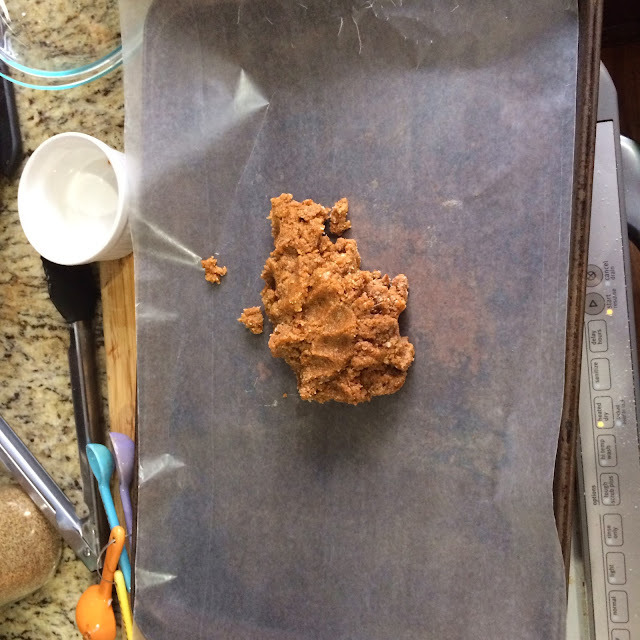 Transfer the parchment paper to a cookie sheet. 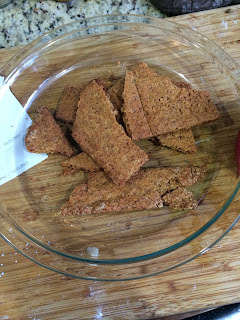 Take half of your graham crackers and pulse until a fine crumb. 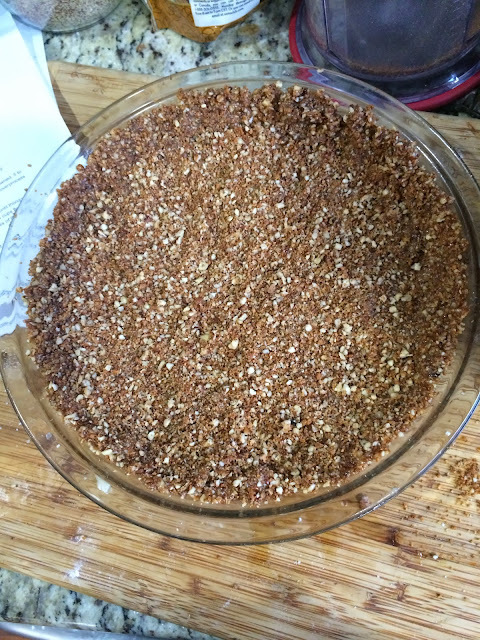 Then take 1 cup of pecan halves and pulse until a fine crumb. 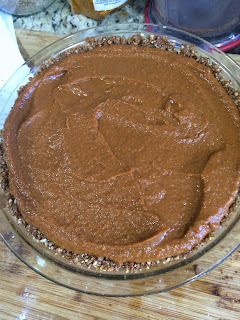 Press into a pie pan, coming up the sides of the pan. Position one rack in the bottom of an oven and another rack in the middle and preheat to 350°F. 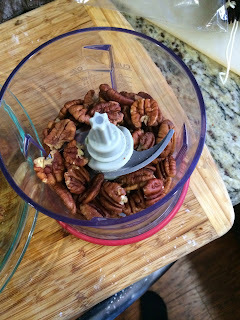 On a rimmed baking sheet, toast the pecans on the middle rack until fragrant and lightly browned, 5 to 6 minutes. 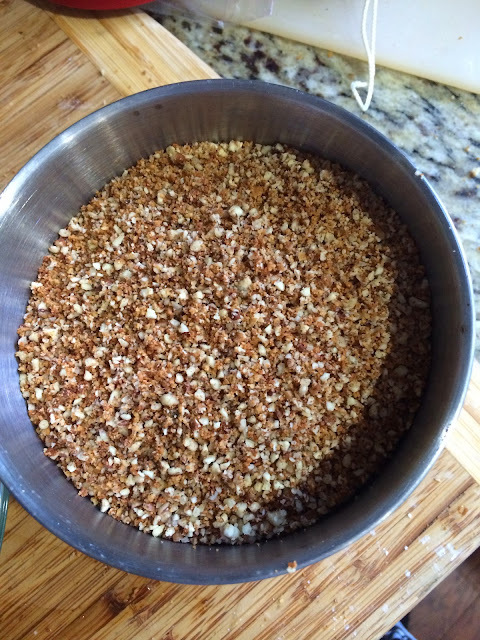 Pour onto a plate to cool, then finely grind in a food processor; take care not to overprocess them. 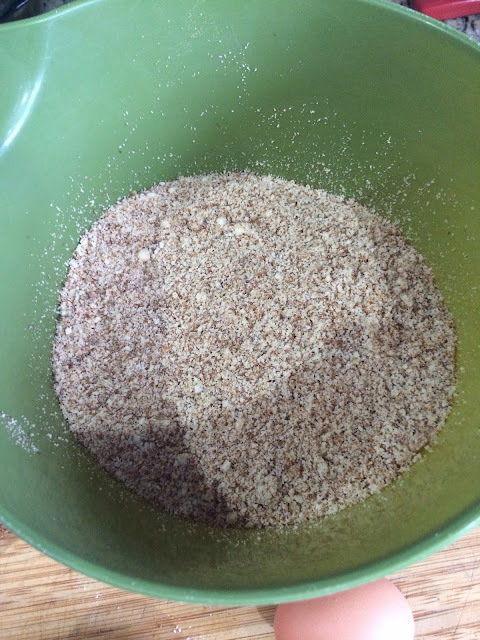 In a large bowl, using a wooden spoon, beat together the butter and granulated sugar until thoroughly blended. Beat in the egg yolk and flaky sea salt. Add the ground pecans and the 1 1/4 cups flour and stir, working the dry ingredients into the butter mixture by smearing it against the sides of the bowl, until the dough comes together in large, shaggy clumps. On a lightly floured work surface, press the dough into a mound and knead until it just comes together. Press the dough into a flat disk, then transfer to a 9-inch pie dish. Press the dough evenly into the bottom and up the sides of the dish. Use the bottom of a metal measuring cup dipped in flour to smooth and even out the dough. 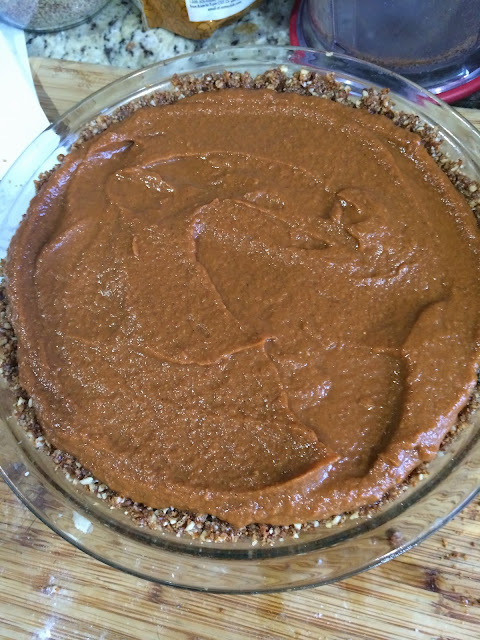 Crimp the edges with the tines of a fork, then freeze the pie shell for 30 minutes. Meanwhile, in a food processor, combine the brown sugar, cinnamon, ginger, nutmeg, cloves and salt and process until smooth. 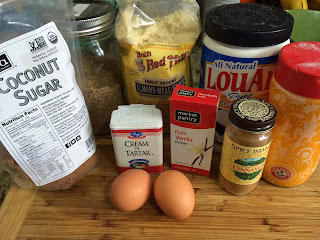 Add the pumpkin purée, buttermilk and whole eggs and process until combined. 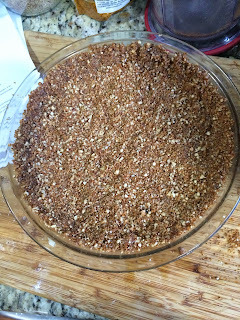 Place the frozen pie shell on a rimmed baking sheet. Pour the filling into the shell and bake on the middle oven rack for 30 minutes. 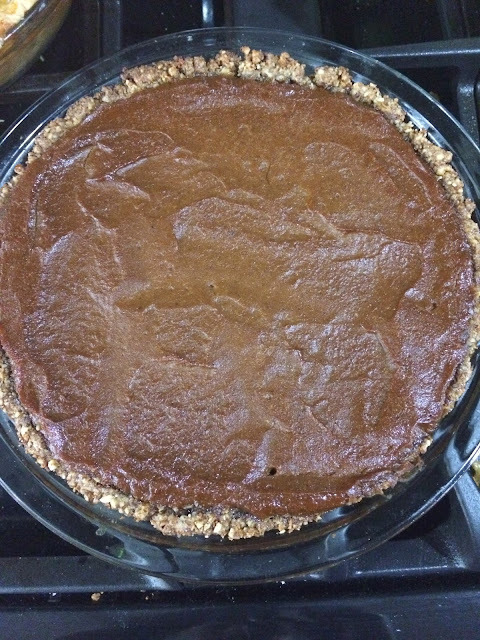 Remove the pie from the baking sheet and transfer directly to the lower oven rack. Bake until the center jiggles only slightly when the pie is tapped, 10 to 15 minutes more. Let cool completely on a wire rack. To serve, cut into wedges and top with whipped cream. Serves 8.